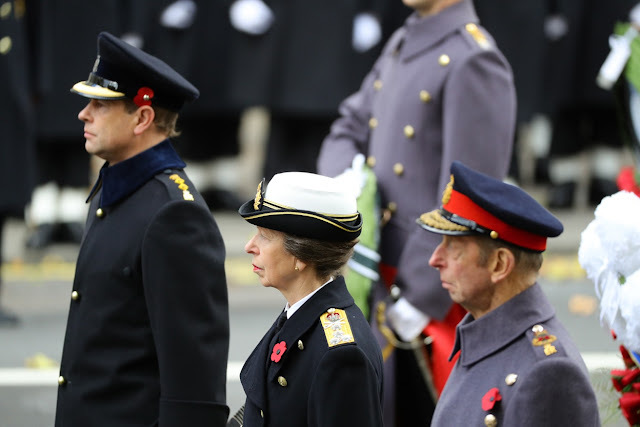 As they do every year, the British royal family spent their weekend in solemn and stately mode, attending the Festival of Remembrance on Saturday and Remembrance Sunday at the Cenotaph in London. 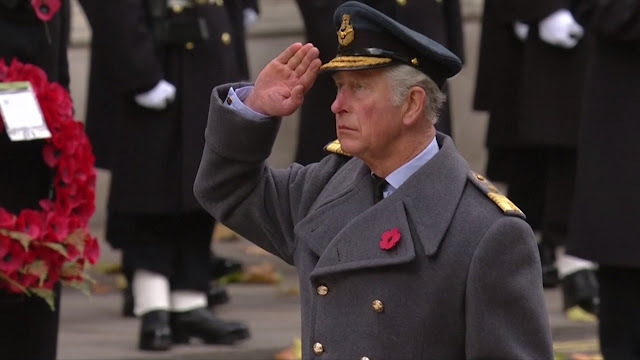 The Prince of Wales led the service and laid a wreath for the Queen in addition to his own wreath. The rest of the wreath-laying regulars joined Charles: the Duke of Cambridge, Prince Harry, the Duke of York, the Earl of Wessex, the Princess Royal, and the Duke of Kent. 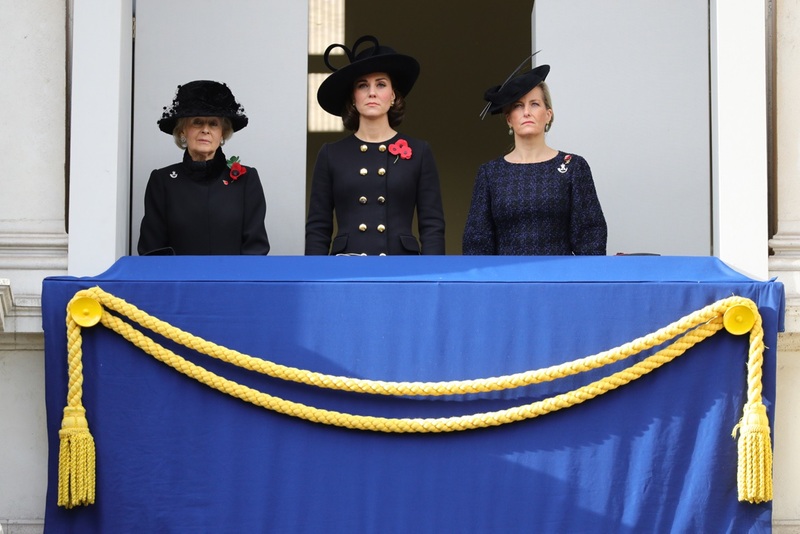 On another balcony, the Duchess of Cambridge watched the service with Princess Alexandra of Kent and the Countess of Wessex. Both Alexandra and Sophie wore badges from The Rifles; each lady is a Royal Colonel of a different battalion. 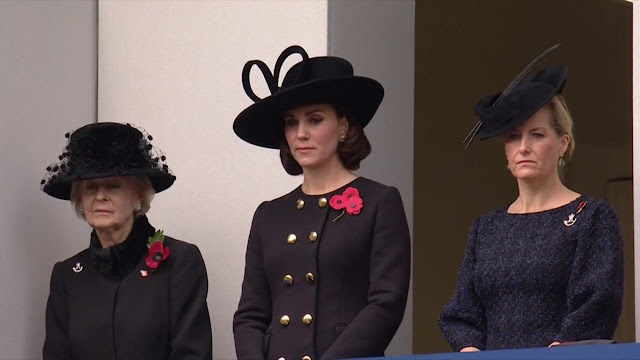 Frivolous as it is to talk about the looks on display here (and, well, this happens to be a blog that specializes in the frivolous, says so right on the sidebar), I think it's worth noting what a sharp look this was for Kate. 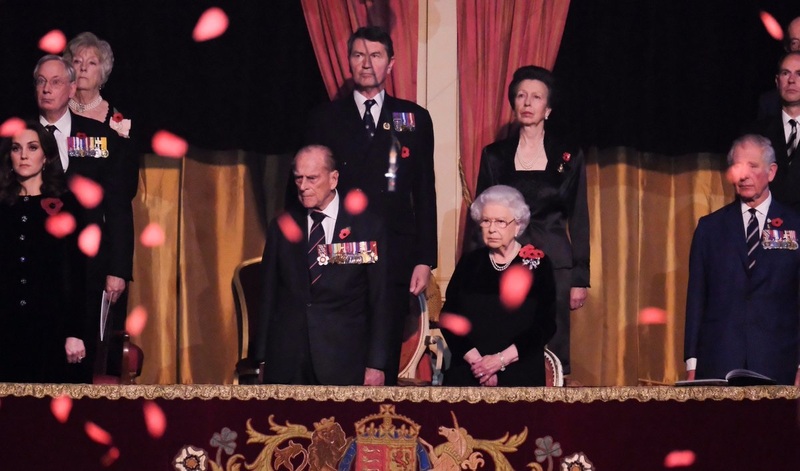 Very dignified. And just right, I thought. Her orderly buttoning was a continuation of the theme from the previous evening at the Festival of Remembrance, where she debuted a cozy velvet option. 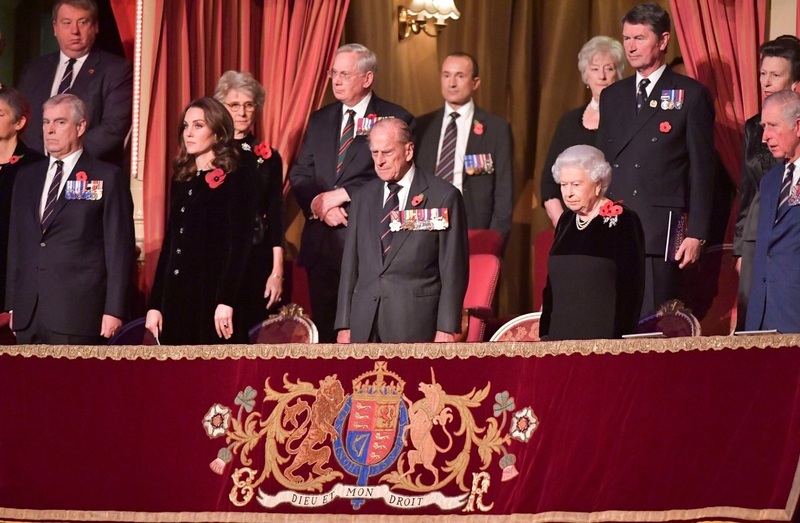 The Queen was in a velvet mood as well, just the top part of her dress for a little textural contrast. 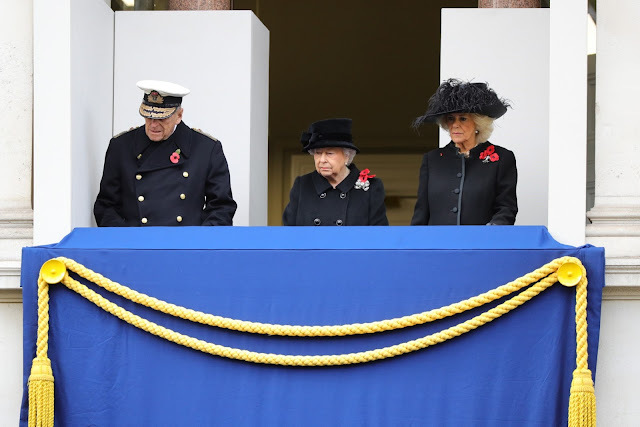 (She, as well as the Duchess of Cornwall, were also covered at the Vault for this event.) 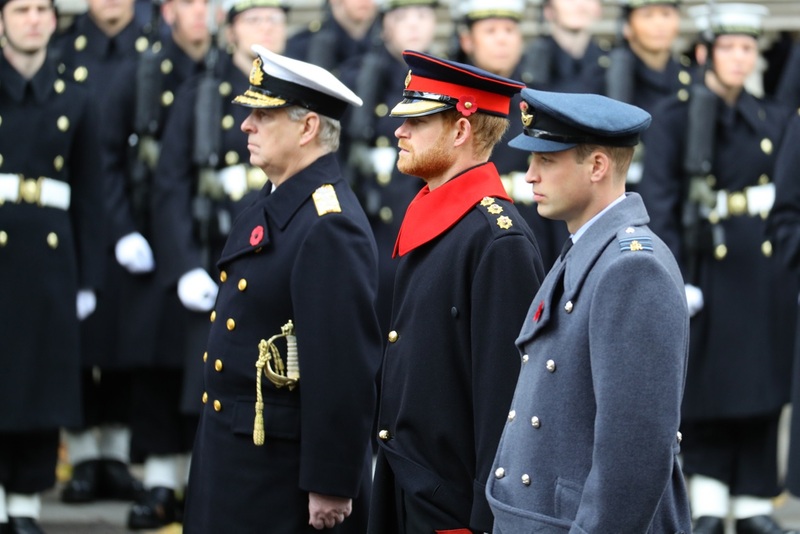 Solemn and stately all around, as always.